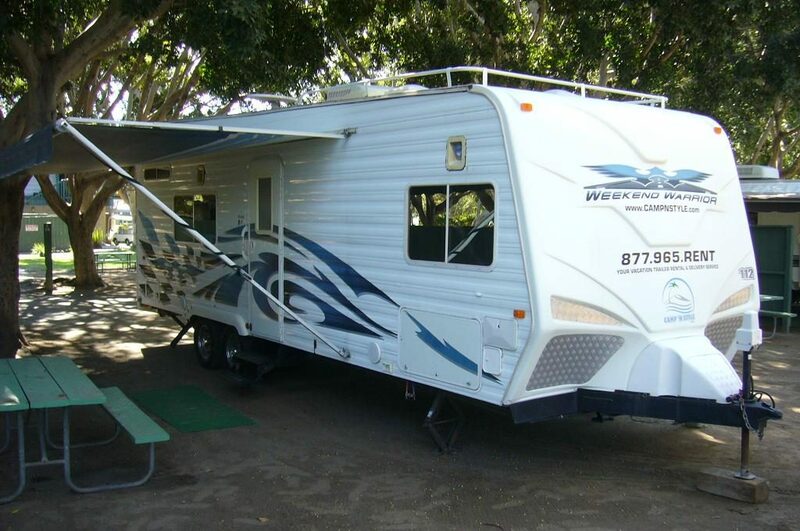 The 26′ Weekend Warrior Vacation Trailer is the ideal trailer for any camping situation, accommodating up to 8 people and all their luggage or gear comfortably. The 26’ Weekend Warrior Vacation Trailer actually measures over 28 feet in living quarters and features wide-body construction which means there is lots of room inside. It is versatile in both the desert and the campground situation. The bathroom has a porcelain toilet, a large shower enclosure, and a separate vanity area.